The FBI relied heavily on the dubious Steele dossier, as well as a Yahoo! News article based on the salacious document, to obtain a surveillance warrant against a Trump campaign adviser prior to the 2016 election, according to an explosive but controversial memo approved for release by the White House on Friday. The memo, which was crafted by House Republicans, also says that the FBI’s deputy director, Andrew McCabe, told Congress that a FISA warrant against the campaign adviser, Carter Page, would not have been granted without use of the dossier. That despite the FBI later determining that very little of the Democrat-funded document was corroborated. And in another stunning revelation, the memo asserts that Justice Department official Bruce Ohr was used to pass information from the author of the dossier, Christopher Steele, to the DOJ. The memo also says that Christopher Steele, the former British spy who wrote the dossier, told Ohr during a meeting prior to the election that he desperately wanted to prevent Donald Trump from being elected president. “A lot of people should be ashamed of themselves,” President Trump said Friday, shortly after the White House sent the memo to the House Intelligence Committee for release to the public. It’s already been widely reported that the dossier was used by government officials to justify a spy warrant against Page, a 46-year-old energy consultant who joined the Trump campaign in March 2016. But the memo reveals that the FISA application “extensively” cited an Sept. 23, 2016 news article that was in effect planted by Fusion GPS. A private investigator who knows both Steele and Isikoff told The Daily Caller last year that the pair are good friends, having been fixtures of the Washington, D.C. journalism circuit for decades. The FISA application made no mention of the link between the Isikoff article and the dossier. Instead, the article was treated as corroborating evidence for the dossier. The memo says that the FISA application “incorrectly assesse[d]” that the Isikoff article was based on information separate from the dossier. “That’s truly insane,” Page told TheDC on Friday about the Isikoff article’s link to the FISA. Page, who is suing Yahoo! over the article, said that he “look(s) forward to updating my pending legal action” in the case to include the allegations from the memo. 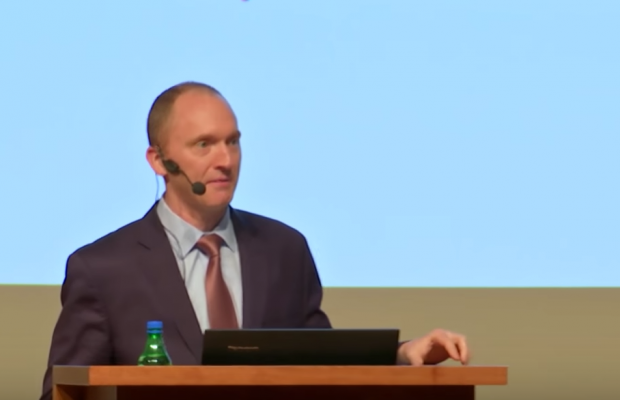 The FISA warrant against Page was granted by a judge on the Foreign Intelligence Surveillance Court on Oct. 21, 2016, shortly after Page left the Trump campaign. In order to obtain the warrant, FBI and Justice Department officials had to convince the judge that there was probable cause to believe that Page was acting as an agent of Russia. The FISA warrant on Page likely included additional information beyond the dossier and the Isikoff article. Page had been on the FBI’s radar since 2013 when he was approached by members of a Russian spy ring for recruitment. He claims he was not recruited and that he cooperated with the FBI in that case. News articles are sometimes used in FISA applications. The New York Times recently noted that articles can be cited to convince a judge that a surveillance target may begin concealing their activities after become the focus of news coverage. While Steele and Simpson met with reporters from The New York Times, The Washington Post, and The New Yorker as well, Isikoff was the only journalist initially briefed on the dossier to publish an article based on the document. The memo says that Perkins Coie, the Clinton campaign law firm that hired Fusion GPS, hosted a meeting with Simpson, Steele and reporters. That would appear to conflict with reporting about Marc Elias, the Perkins Coie lawyer who served as general counsel for the Clinton campaign and DNC. Though Elias was who set up the deal with Fusion GPS, CNN reported in October that a source familiar with the project said that Elias was not involved in pitching the media on behalf of Fusion GPS. Elias did not respond to a request for comment on that potential discrepancy. Isikoff’s report did not identify Steele or refer to a Democrat-funded dossier. Instead, it laid out Steele’s allegations about Page and reported that U.S. law enforcement officials were investigating the campaign adviser’s contacts with Russians. The article quoted an unnamed U.S. law enforcement official confirming that investigators were looking into the allegations about Page. “It’s on our radar screen. It’s being looked at,” the unidentified source told Isikoff. Isikoff’s article, which was touted in a Clinton campaign press release after publication, cited claims from a memo Steele wrote on July 19, 2016. It alleges that during a well-publicized trip to Moscow earlier that month, Page met secretly with two Kremlin insiders, Igor Sechin and Igor Diveykin. The dossier also alleges that Page worked with former Trump campaign chairman Paul Manafort as part of a “well-developed conspiracy” with Russians to influence the election. No evidence has emerged validating the claims made about Page in the dossier. The Republican memo says that FBI counterintelligence chief Bill Priestap has said that an investigation into the dossier’s veracity was in its “infancy” when it was used in the FISA application. 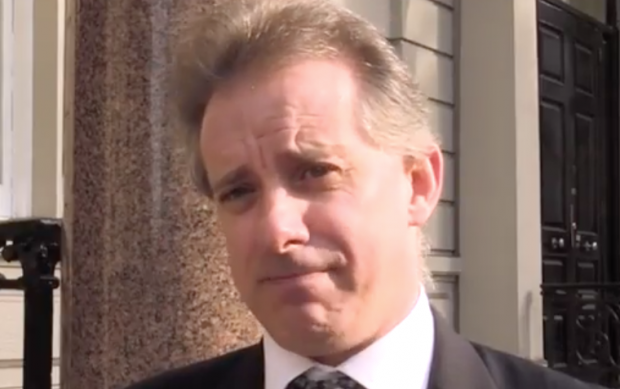 Simpson, the Fusion GPS founder, has also been unable to offer evidence to corroborate any of the dossier’s allegations during interviews with congressional committees investigating Russian interference in the election. Isikoff’s article has caused some confusion among reporters and pundits, as it has often been cited as independent confirmation of Steele’s dossier. It only became clear last April that Isikoff’s article was based on the document when Steele submitted court filings in London, where he is being sued. In the document, Steele said he was directed by Fusion GPS to brief reporters on his Trump investigation. The memo also focuses heavily on McCabe and Deputy Attorney General Rod Rosenstein’s involvement in obtaining FISA warrants against Page. The memo says that Rosenstein signed off on one renewal for the Page warrant shortly after taking office in April. 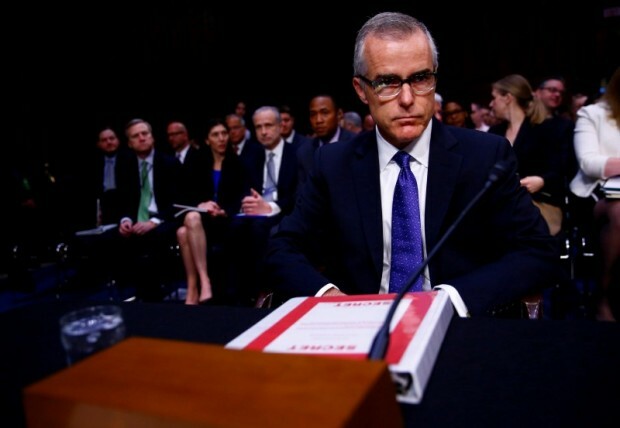 McCabe, who abruptly quit as FBI No. 2 earlier this week, signed off on one application, and James Comey okayed three applications when he served as FBI Director. On the Justice Department side, then-Deputy Attorney General Sally Yates and then-Acting Deputy Attorney General Dan Boente also approved warrant applications. Steele’s relationship with the FBI regarding Trump began in July 2016, shortly after he begin investigating the Republican. The ex-spy reached out to an FBI contact on July 5 to provide a briefing of his findings. He met with FBI agents again in Rome in early October and was told that he would be paid if he could corroborate other findings in the dossier. The FBI never paid Steele, and according to the memo, the bureau “suspended and then terminated” him as a source because he violated the bureau’s rules against leaks to the media. Steele was a direct source for Mother Jones reporter David Corn. Corn, who is co-writing a book with Yahoo’s Isikoff, published an article on Oct. 31, 2016 in which he quoted Steele anonymously and revealed details of the dossier. The Republican memo asserts that Steele violated one of the FBI’s “cardinal rules” and had demonstrated that he was a “less than reliable” source for the bureau. While on the campaign, Papadopoulos was in contact with a London-based professor who claimed in April 2016 to have learned that the Russian government obtained Clinton-related emails. The date is significant because it was not publicly known at the time that Russian operatives had hacked Democrats. In May 2016, Papadopoulos told an Australian diplomat named Alexander Downer about the information he had received from the professor. Downer relayed the information to his associates in July 2016, and the FBI was informed about the conversation later that month. The memo notes that the Papadopoulos information “triggered” the FBI investigation into possible Trump campaign collusion. It says that there is no evidence that Page and Papadopoulos engaged in a conspiracy. Page has told TheDC that he interacted infrequently with Papadopoulos during the campaign.